At UCP we are incredibly proud of everything that our students achieve throughout their studies. 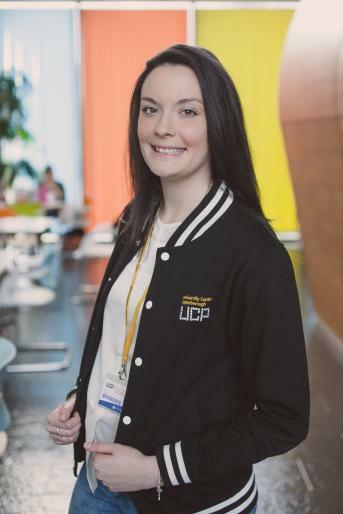 Check out some of the stories below and discover what studying at UCP can do for you. Since graduating from University Centre Peterborough in September 2014, I have gained employment as a Trainee Reporter at The Rutland & Stamford Mercury newspaper, as part of Johnston Press. I was really lucky to get the role, but I feel it was one I deserved as I had already done a large amount of work experience at the newspaper during the three years of my journalism degree. I have literally been thrown into the role, having to source my own stories, chase breaking news, produce front pages and interview high profile people - including Mary Berry! Although I don't see myself working in local news for the rest of my career, this is a great platform for me and as a trainee reporter, I'm learning on the job and producing a massive portfolio of published work which I can show future employees. I have already done so much and have produced front page stories nearly every week. I would never have imagined being paid to be a proper reporter but thanks to the help and support I received at UCP this has made my dream a reality. Did you enjoy your time at UCP? Would you like to share your story about your student life and where your studies have taken you. Please fill out the form below and become a part of UCP's Alumni. By submitting the form you agree to allow UCP to use and store your image for marketing purposes. about your experience at UCP.